Star Carr is world renowned in Archaeology. It is incredibly important because of the amazing number of artefacts found which had been preserved in peat. These included finds such as barbed points made from antler (used in hunting), stag frontlets (head-dresses) and beads. These sorts of discoveries are extremely rare. This website presents a range of information about this site and our current project, POSTGLACIAL. 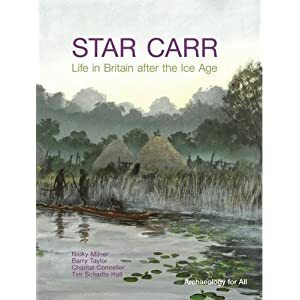 We have also published a glossy booklet called "The Story of Star Carr" - all proceeds to go to help fund more free public activities.